Contact Cliff or Dave or Christo at Hyundai George 044 878 1800 Excellent Condition Demo Vehicle Outstanding Off Road Capabilities With Luxury To Boot 18 Inch Fueler Rims Rigid Deck Fox Full 4x4 Suspension 20 Inch LED Bar Light 3 Way 12V Power Point In Load Bin Fridge Bracket Rubberised Load Bin Black Out Trim 76mm Stainless Steel Exhaust Total Extras Valued At R150'0000 Don't miss out on this one of a kind Triton. Call us now, or leave your details and we will be sure to call you. 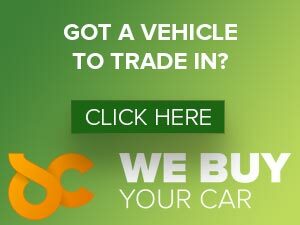 Finance Can Be Arranged, Nationwide Delivery, Trade-ins Welcome, Full Service History. Price Excludes Documentation and Registration Costs. E&OE As one of the many Imperial Select Pre-owned dealerships, we pride ourselves in excellent service and offer vehicles that can be trusted and enjoyed. Customer satisfaction is our main priority! Imperial Select - Drive Away Smiling.